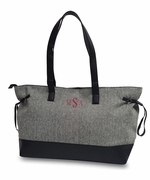 Women’s business style laptop computer tote bag blends style and functionality. Add a classy look to the days business meeting. Comfortable cotton herringbone pattern with either over the shoulder carry or cross body strap. Easy travel tote for home to work. A lightweight briefcase style tote to keep everything you would carry organized and easy to find. For traveling add the matching weekender item WB-M445HBONE or accessory pouch WB-M725HBONE. NOTE.. 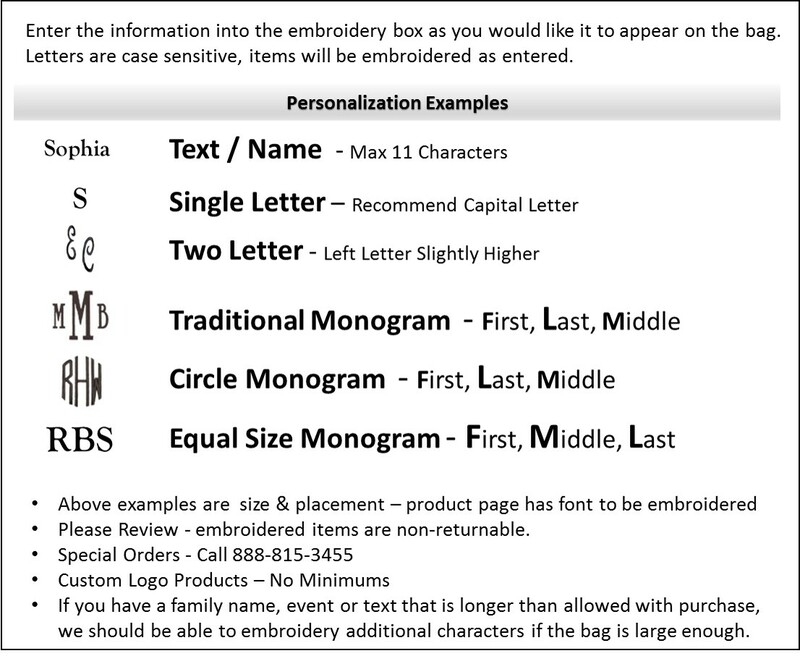 ACCENT MONOGRAM IS APPROXIMATELY 1 3/4" AND IS PLACED UNDER THE TOP OF THE TOTE BETWEEN THE HANDLES. Women’s laptop tote measures 14.5”W X 11.25”H, 3 inch wide bottom. Diagonal measurement for laptop is 17".